I've been on a roll lately! I have filmed and edited several highly-requested videos; ones that aren't about the nail art but more about nail care and what I recommend. 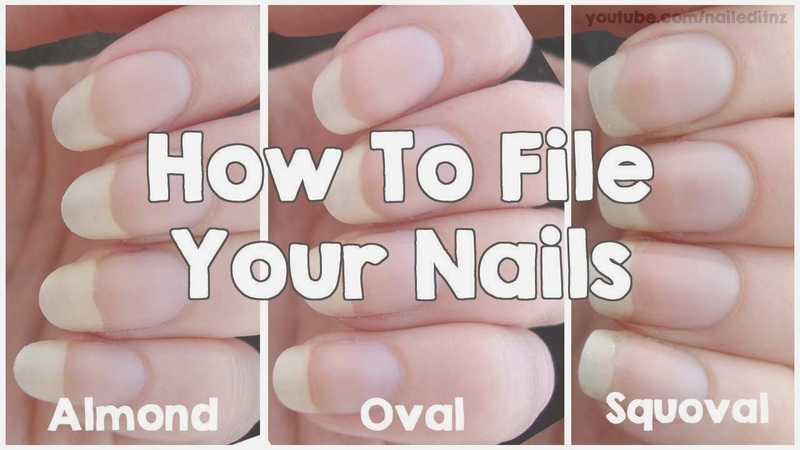 This is the first of these new videos; How To File Your Nails. 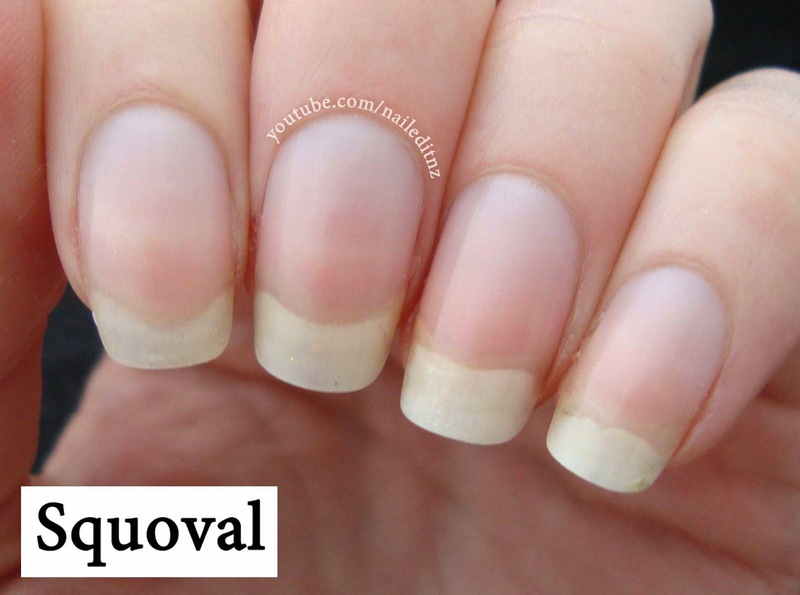 I talk a bit about the grit of the nail file, the different ways you can file them and how to achieve three popular shapes; almond, oval and squoval. The first shape I talk about in this video is almond. 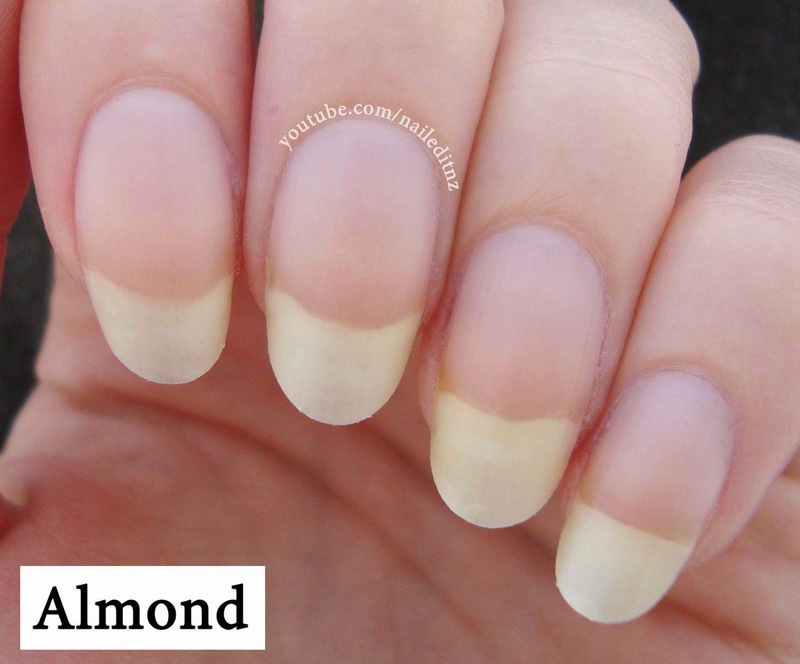 My almond nails here aren't as pointy as they could be (it's a sliding scale) but I explain the reason for that in the video. Almond is personally my favourite nail shape - it's classy and more natural-looking than square/squoval, at least on my nails. 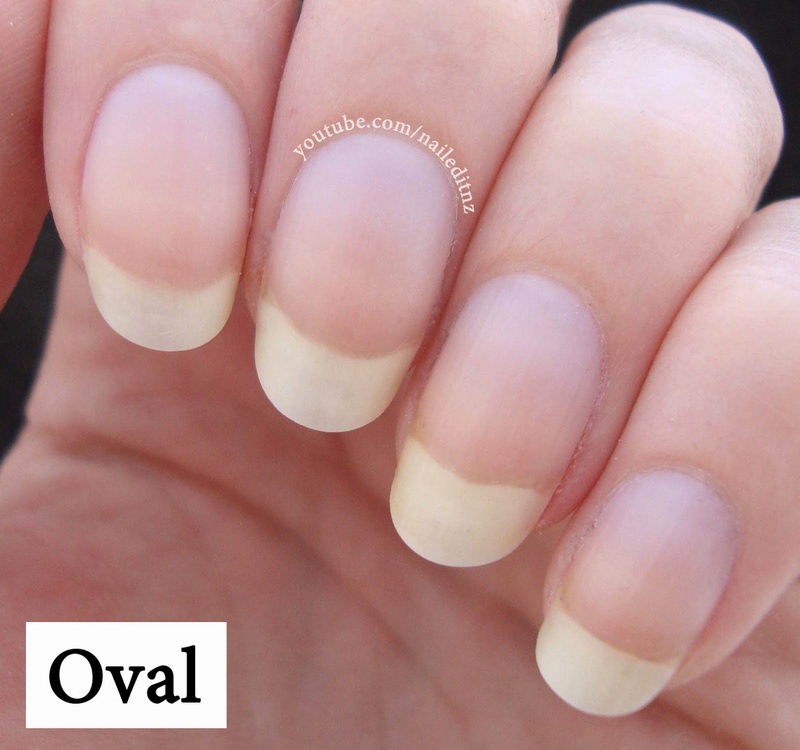 Next up are my oval nails. These are much more practical, especially at this length or shorter. And lastly, here is squoval. While I like this shape, I don't think it suits my nails as well as the other two. This is probably due to the shape of my cuticles - they're very curvy and it always looks nice if both ends match. Here's the video! And a pretty little subscribe button - oooh, I wonder what magical things will happen if you push it? I can't believe how overwhelmingly positive the feedback has been for this so far - I was so nervous putting it up. I honestly lost sleep over it. Filing nails can be a bit controversial; I've seen women get verbally attacked on social media for daring to say they file their nails both ways. I do this a lot, and therefore was prepared for some backlash to this video... but there has been none at all! What a wonderful community the nail blogging one is ☺. I managed to edit two more videos today, in a record time of two and a half hours for the both of them (normally it'd take twice that long for one!). I'm really excited; partly because I think that people will like the videos, and partly because it means I'm organised and ready for the couple of weeks that I won't have regular access to the internet. We're down to a matter of days until we move to Auckland now, and the previous nervous apprehension has given way to pure excitement. So, so glad that this is finally happening. 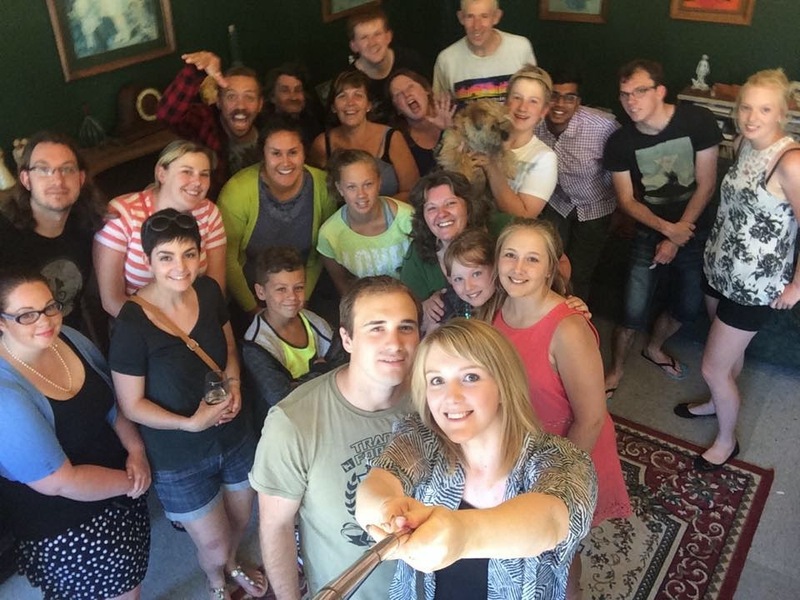 Our farewell party was yesterday and it was just awesome, we had a great turn out and some of us were still chatting close to midnight - even though it was an afternoon tea! So happy to be moving, but even more happy that we're leaving on such great terms with our Palmy people. Selfie sticks; love 'em or hate 'em, you can't deny they're helpful in this situation. I hope you like this video! This might be my last blog post for a little while; we've got a busy week and then we're off to Australia. I'll try to pop up a post around the same time my new video goes live next Friday - but if not, I'll update as soon as I'm able. My almond nails are always more pointy than yours. I like seeing your version! I get awful ocd over equal sides/angles with pointy nails, what about you? Haha, it's ridiculous.